I know my hair stories are pretty boring but I like how "safe" long hair looks on me. 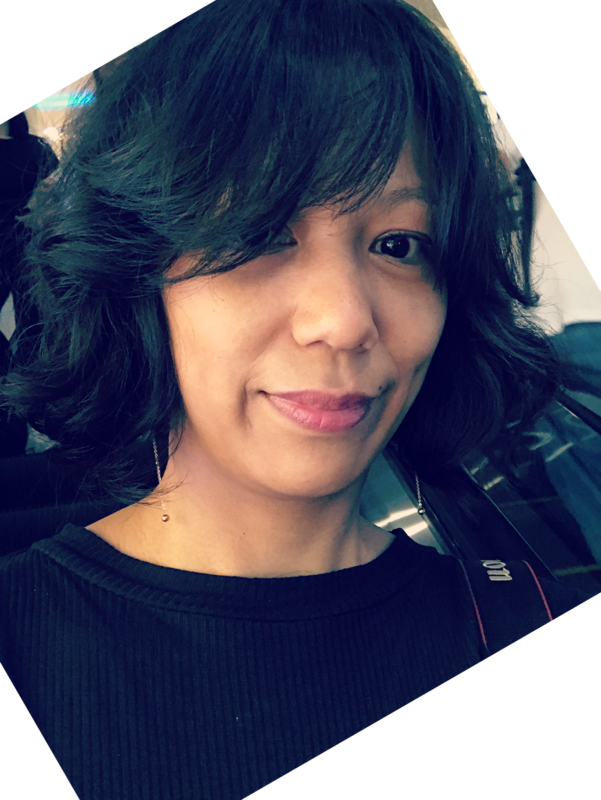 In case you are wondering, one of the main reasons why I seldom cut my hair short is because "long lustrous female hair is generally rated attractive by both men and women across cultures". Yes, I am a little old-fashioned like that. What made me cut my hair short then? 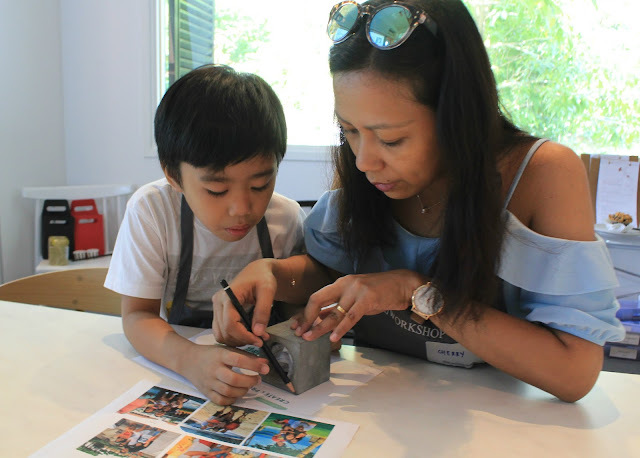 This exact photo taken recently during a workshop I attended with my family. As if my dry, fizzy hair locks are screaming for my attention because it badly needs some extra tender loving care already. Initially, I only thought of having it trimmed to get rid of my split ends but a hair stylist from a salon chain I went to convinced me to cut it short for a change. I agreed but ended unhappy with the result. 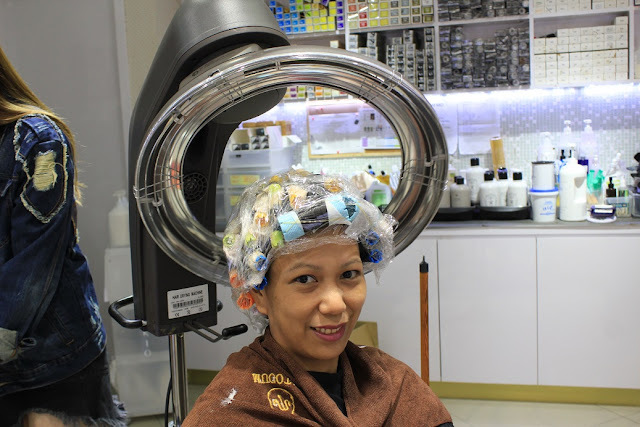 I also found out at the end of my supposedly stress-free pampering hair visit how the salon staff are very persuasive in letting costumers sign up for a package. I knew right there and then I wouldn't go back to that salon anymore. 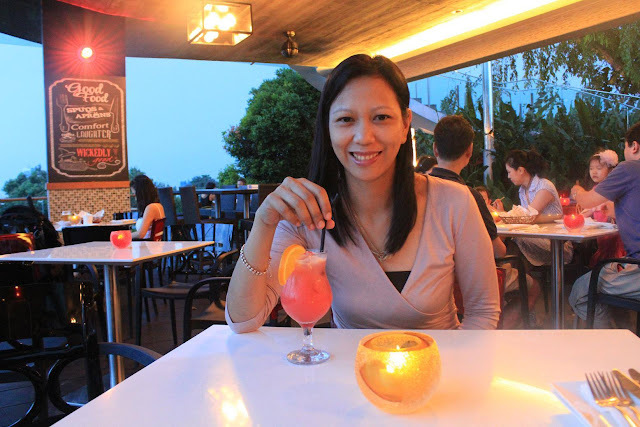 How would I recommend them to my readers if I am not satisfied with their service? Thank goodness, Kenjo Salon came to my rescue. 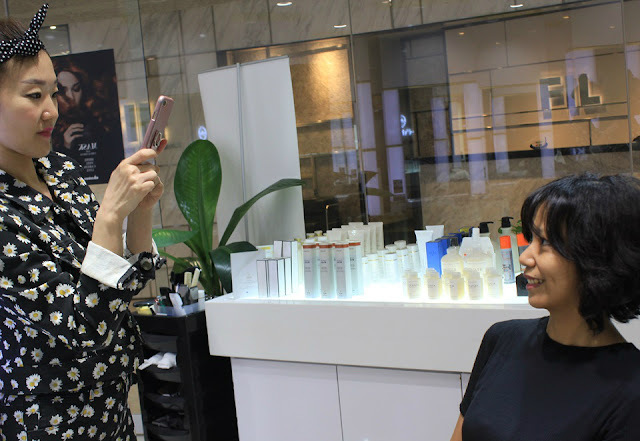 The frugal mama in me always have second thoughts of going to a posh salon but during my consultation, Joseph Foo, the Founder and Director of the Korean-inspired hair salon assured me that at Kenjo Salon, I am in for a quality treatment I wouldn't regret. 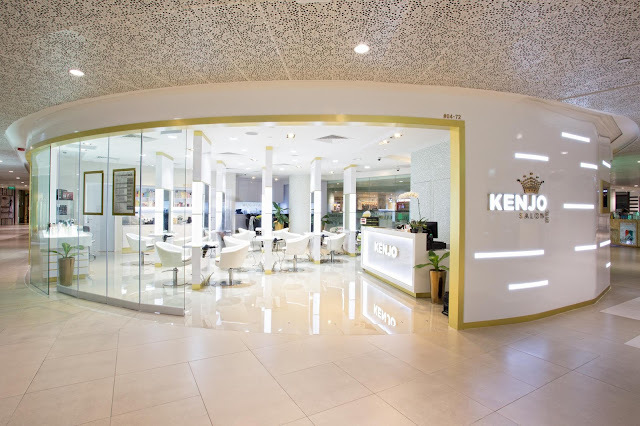 Kenjo Salon boasts a sleek and modern ambiance with a dedicated and professional team which is a combination of both local and Korean stylists. The salon's goal is to provide the highest level of professionalism to each and every client and ultimately build a long and lasting relationship purely based on trust and commitment. Now, that sounds like what exactly what I am looking for. 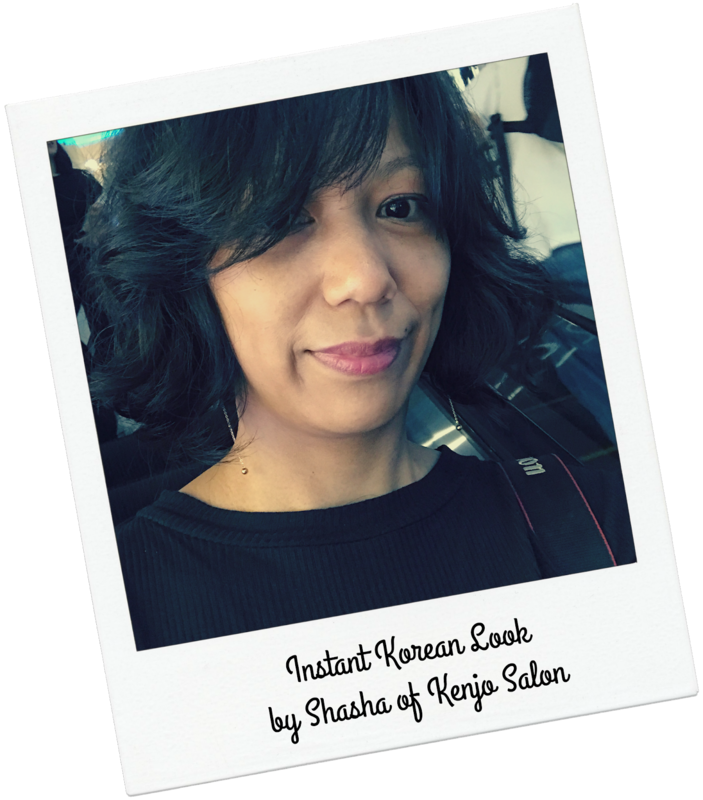 Joseph introduced me to Shasha, Kenjo Salon's Director Stylist who is obviously a Korean. Shasha is not very fluent in English but she can communicate with the language well enough for her to express what she wants to say. I like how straight-forward she actually is. 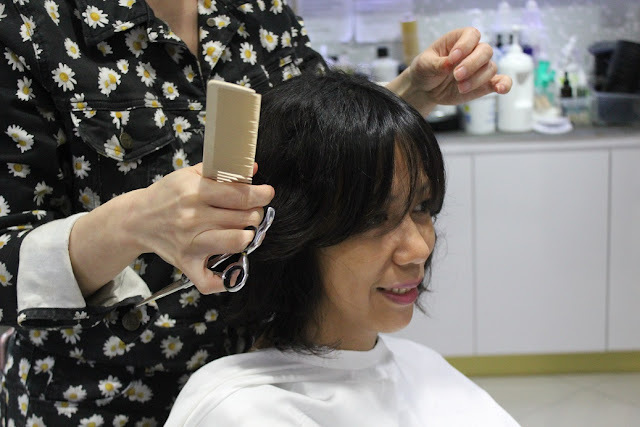 She assessed my hair and said, "It looks too flat, I am going to give it some volume." So I left my hair in the care of an expert, no less. Shasha trimmed my hair a little more. 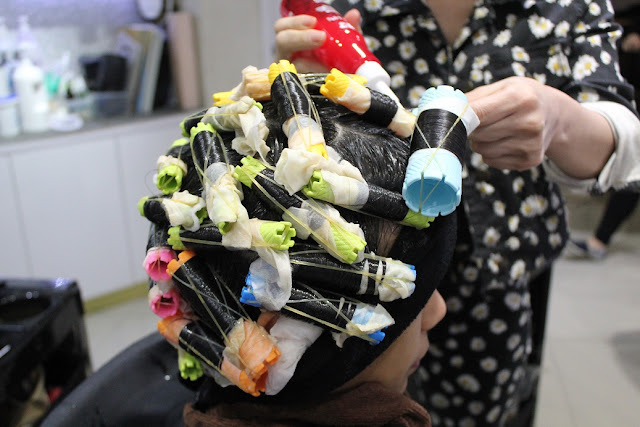 Her plan was to give me a Korean hair makeover. Who else knows Korean style best but the Koreans themselves, right? To be honest, I am actually a little nervous with the drastic change that's gonna happen in all of my hair stories. What if it doesn't suit me? Well, you have to stick with me until the end of this post to know the answer. I've got some discount code to share too so please read on! 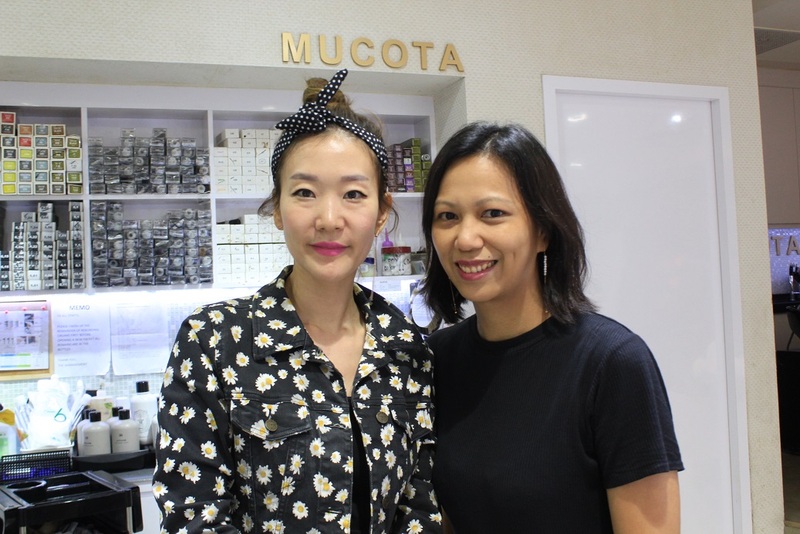 To protect my hair from the harsh effect of the perming solution, Shasha gave my hair their signature Mucota treatment. 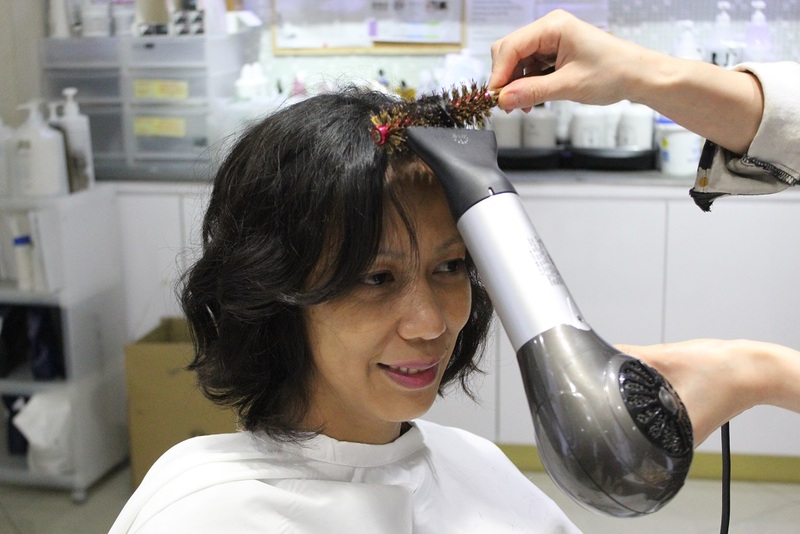 The treatment will also protect my hair from damage brought by the heat of a dryer or UV rays. Shasha also suggested that I should try changing my parting line and so I did. 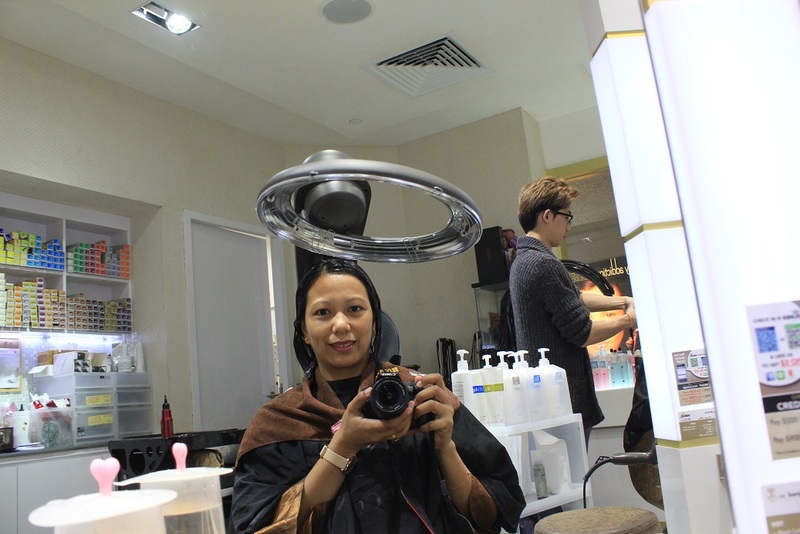 Blow drying and styling before the final reveal of my Korean hair makeover. I am so excited and nervous at the same time! I quickly sent this photo via Whatsapp to my best friend to get her feedback because she was actually against my plan of changing into a short hair style. "Made you look vibrant and younger by ten years!" Oh, well! She's my best friend indeed! Hahaha! I know best friends can be bias at times so I am going to ask you now, whatcha think of my makeover? I was initially worried how to maintain my new look but before my treatment ended, Joseph came to personally hand me these awesome Davines' shampoo and conditioner which is specially curated for my Love Curls. 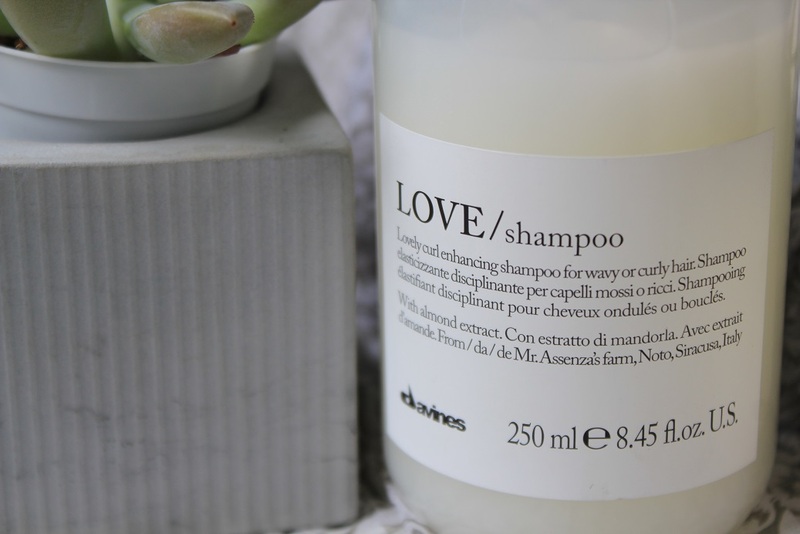 These shampoo and conditioner were named LOVE for no reason. 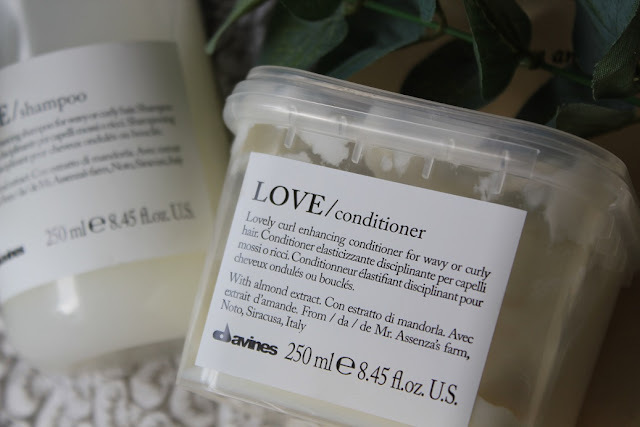 I love its smell and I love how it retains my curls nicely. I also particularly love how eco-friendly these products are. 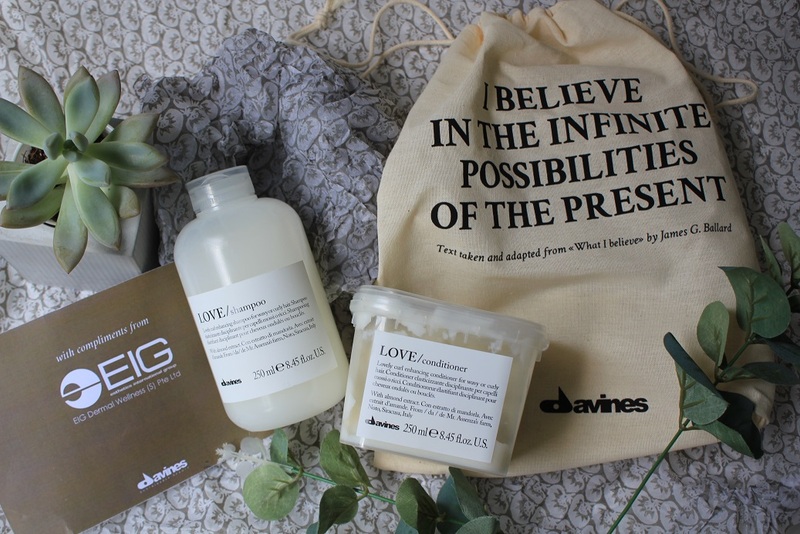 The packaging wasn't fancy at all yet it looks very dainty with its black and white sticker label pasted on a recyclable bottle and recyclable container respectively. What's there not to love? Thank you, Kenjo Salon! I was really impressed by the professionalism and great service of your staff. During my treatment, I can spy Joseph from the corner of my eyes constantly checking and making sure that all costumers are being well attended to by his team. Also, I have never been to any other salon that offers a wide array of drinks to choose from including coffee and soy milk. 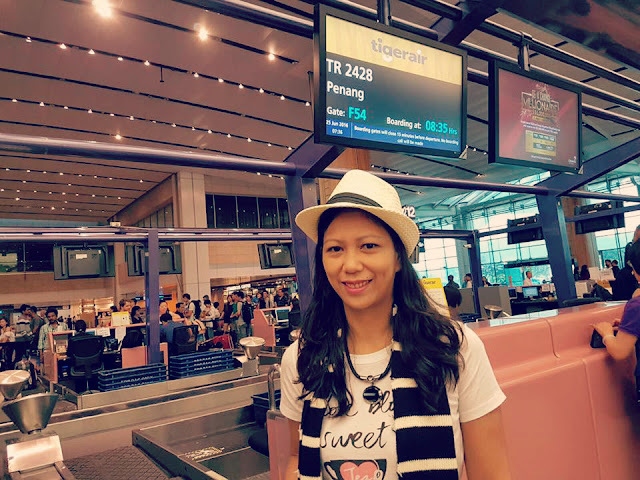 Hats off for going beyond the extra mile to pamper your costumers. Based on my pleasant experience, I highly recommend Kenjo Salon! The salon depicts luxury and class yet affordable and their prime location and excellent service are hard to beat. You may look for my stylist, Shasha or Joseph when you visit and don't forget to quote my name "CHERRY" to get 15% off your first haircut or treatment. For constant updates, like Kenjo Salon on Facebook and follow @kenjosalon on Instagram. *This post is brought to you by Sweet Memoirs and Kenjo Salon collaboration. For the win, Dokie! The new look suits you beautifully! You look so regal and classy! I passed by this salon before. I like how sleek and white the interior is! You look very different with the new hairstyle, in a good way, of course! It's a nice change! Looking forward to see the brand new you! Eh, the curls are super cute! What's the maintenance like? hehehehe before I knew it was by a Korean hairstylist I already saw you in the photo as Korean 😜 mmmmm what does M and K say now about ze hair? Whoa...I've always walked past the store but never knew they are pretty competent hair stylists! Will recommend to friends and family who needs it next time. Thanks for sharing! Nice change and you look so different is it easy to maintain these curls everyday? Smart and sleek look! I loved your new style Cherry...You look younger in it.